From donated wedding gowns our volunteers hand craft Angel Dresses which are then gifted to Neonatal Intensive Care Units, Hospitals and families. This program provides comfort for families by providing a beautiful gown for final photos and for burial services. There is no greater gift that can be given to a grieving family than affirming the importance of the life of their child by offering this simple gift. We are located in Alberta (Alberta Angels) with a primary focus on providing Angel Dresses within our province. Dresses can be sent to other areas as required and we can also assist in making connections with groups in other areas. Prior to 2014, there were Angel programs in the USA and Australia but none in Canada. In May 2014 a Mom who experienced a loss started a group in Saskatchewan to make Angel Dresses for families. ” I wanted to make something special out of a beautiful dress, to help make someone’s day a touch better when their heart is breaking”. 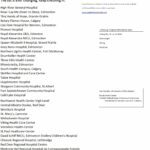 The Alberta Angels project started soon after and now many provinces across the country are following suit.